MTI has gained global recognition for designing and building the most advanced, customized friction welding machines—including the world’s largest inertia friction welder. While we are proud of building the largest rotary and linear friction welders in the world, we have also designed and built hundreds of smaller friction welding machines. And that’s where the SPARTAN product line comes in. Inspired by the lean manufacturing goals of the automotive industry—and our longtime customers—SPARTAN produces consistent, quality welds at a practical price. Direct Drive Friction welding is the standard for the automotive industry. With a select number of optional features, including automation, SPARTAN can be used as a tool to meet and exceed cycle time goals. A standard machine design with a straightforward and streamlined exterior, SPARTAN is user-friendly and highly configurable. 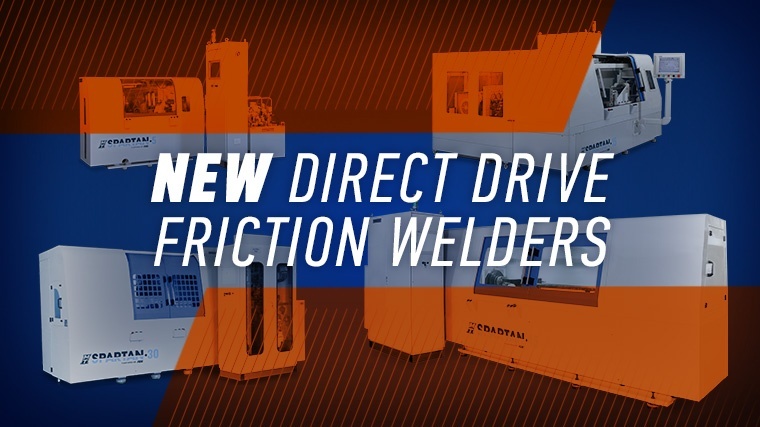 These easy-to-use and intuitive friction welders store weld history across different parameters and enable configurable reporting by job, part, operator, job status, or your client. Behind the scenes, SPARTAN utilizes sophisticated Direct Drive Friction Welding technology. A proven and reliable solid-state joining process, Direct Drive Friction Welding has been used in the automotive industry for decades. And, it offers several advantages over traditional joining methods—including stronger welds, faster cycle times, and the ability to join bimetallics. Higher quality welds –Friction Welding produces joints of forged quality. This results in superior weld properties compared to more traditional processes, like MIG or TIG welding. Reduced Weld Cycle - Weld cycle production times can be reduced because the friction welding process is significantly faster than more conventional methods of welding. Joining times are so fast, most friction welds can be accomplished in just a few seconds. Bimetallics - Friction welding is the most effective technology available for joining dissimilar metals, also known as bimetallics. Because of differences in melting points, a lot of bimetallic combinations are impossible to join using fusion processes. Different manufacturing problems require different solutions, and we wanted to provide our customers with a select number of popular options. This way, you can tailor the options to meet your goals without adding significant costs. Automation: Take operator error out of the equation. SPARTAN can seamlessly integrate into an existing production line or a fully-automated production cell, offering efficiency, cost-savings and increased productivity. Tooling: Respond to changing customer demands. Fixture clamping and chuck options allow you to dramatically reduce changeover time. Flash Removal: Eliminate steps downstream. SPARTAN can provide in-machine flash removal. But what truly sets SPARTAN apart from other standard direct drive friction welders is that it is backed by MTI’s warranty and global service organization. 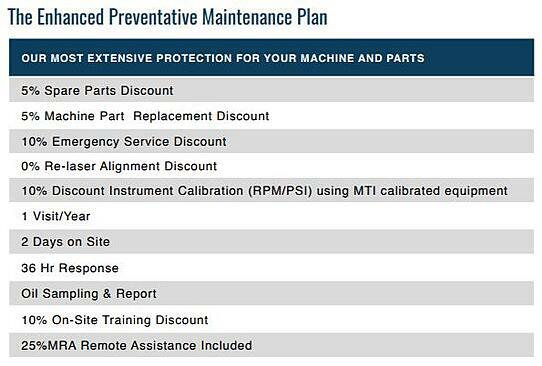 For more peace of mind, you may add our optional extended warranty and enhanced preventative maintenance package. MTI is dedicated to providing this level of productivity and support to our customers in North America, Europe, and all over the world. Adding a capital expenditure like a new friction welding machine may mean thinking ahead for next year’s budget. A cost-effective, efficient friction welding solution will “check all the boxes” when you look for planning and implementation approvals. The push for enhanced productivity for Tier 1 and Tier 2 automotive suppliers – tied to lean manufacturing processes – makes SPARTAN a key tool in your quest for automation, cost efficiency, and weld consistency. To learn more about the SPARTAN line of direct drive friction welding machines, download the white paper: “SPARTAN: A Cost-Efficient Joining Solution for the Automotive Industry.” For technical specifications and detailed product information, launch our brochure. MTI offers the unique ability to design friction welded parts that will best serve you and save you money at the same time. MTI is transforming automotive by bringing the same light-weighting technology used in the aerospace industry to weld full size demonstrator parts in North America. MTI’s customized joining solutions can be used to achieve additive manufacturing initiatives, like Near Net Shape parts. MTI is the only company in the world that specializes in all three types of friction welding – rotary, linear, and stir. This means we can join everything from battery cables and airbag inflators to flanged axle shafts and drive shafts. Talk with our expert engineers today to identify your needs and let us find a solution for you. We’ll build a machine that makes your part, we’ll make the part for you, or we’ll help you make the part even better.